Electronic Technology Incorporated provides a wide array of custom communications enclosures and electronics for bridging the gap between a wide area network and the electric distribution infrastructure, including network protectors, network transformers and the ETI MNPR®. 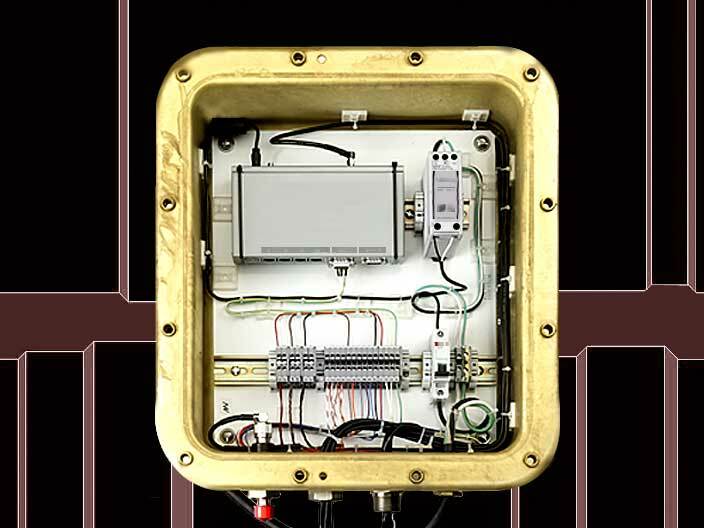 The enclosure itself is a fully submersible brass box with penetrations for various cable diameters. Many different wide area networks have been used with these enclosures including fiber optics, cellular modems, and licensed and unlicensed radios. Various sensors can also make use of the enclosure as a junction box for bringing signals back to the ETI MNPR®.